As soon as a decision is made to include pictures in a book, difficult choices have to be made about which pictures to include and which to leave out. In some cases, the decision was taken out of my hands. I would love to have included a picture of Reginald Fessenden, but I simply couldn’t find one. I also wanted to include pictures of Claude Shannon and the cover design for Coldplay’s X&Y album, but copyright issues intervened. However, many more pictures were excluded because there wasn’t enough space to include everything, and a line had to be drawn somewhere. There are plenty of pictures in the book (many of them in color) but I didn’t want it to become a picture book! The people who appear on this page are all mentioned in the book, but there wasn’t room to include their pictures. I’m happy to consider suggestions for other people who deserve to appear on this page – particularly if accompanied by a suitable photograph. 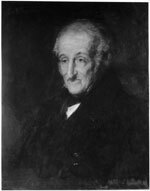 Sir Francis Ronalds demonstrated a working telegraph in Hammersmith as early as 1816. A friction-based electrostatic machine was used to charge the line, and a pith ball electroscope detected the presence or absence of charge at the receiver. Although the system had a number of weaknesses, the fact that it worked at all indicated (to the few people with the vision to see it) that a completely new form of communication was about to appear. 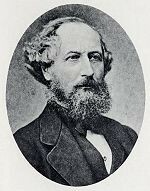 Seven years before Morse’s telegraph transmitted its first message between Washington and Baltimore, William Fothergill Cooke and Charles Wheatstone successfully transmitted a message over a telegraph line running along the railway track between Euston and Camden Town in North London. In 1839, the world’s first public telegraph service opened on a 13 mile route between London Paddington and West Drayton, providing members of the public with the opportunity to send messages for one shilling a time. Wheatstone and Cooke were partners, but their relationship became increasingly strained. 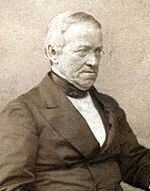 In 1841, they quarrelled over their relative contributions to the invention of the telegraph, and the dispute went to arbitration where it was concluded that ‘It is to the united labours of two gentlemen so well qualified for mutual assistance that we must attribute the rapid progress which this important invention has made’. 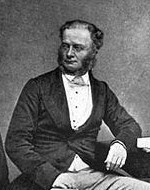 John Tawell unwittingly played a crucial part in publicising the benefits of the telegraph. 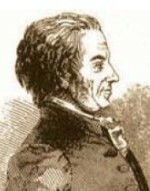 On 1st January 1845, he travelled from London to Slough with the intention of poisoning his mistress. Having committed the crime, he made his get-away by catching a train back to London. However, he had not reckoned on the telegraph. He was arrested when he arrived in London, and was subsequently hanged for murder. At a time when submarine cables rarely exceeded one hundred miles in length, an American businessman called Cyrus Field proposed a trans-Atlantic link between London and New York City. The link would include a 2,000 mile cable laid between Ireland and Newfoundland, and an additional thousand miles of cable to link Newfoundland with New York City. After four failed attempts, Field’s persistence finally paid off in July 1866. Amazingly, this cable was still in use one hundred years later. 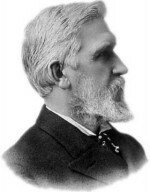 Elisha Gray was one of Alexander Graham Bell’s fiercest rivals. Both Gray and Bell had started working on the harmonic telegraph, and each suspected the other of stealing ideas. Gray submitted a patent application relating to the harmonic telegraph on 23rd February 1875 – two days before Bell filed a similar application. In the case of the telephone, the roles were reversed; Gray filed his caveat application a mere two hours after Bell had filed his patent! It has been claimed that Bell updated his patent application after being illegally shown a copy of Gray’s caveat by friends in the Patent Office. 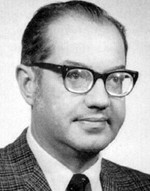 In a series of papers published between 1962 and 1964 , Paul Baran described all the basic features of a packet switching network. The work was sponsored by the US military, and the aim was to develop a network that could sustain considerable damage but still continue to operate effectively. Although an attempt to build such a network was blocked by vested interests, his ideas subsequently found their way into the design of the ARPANET – and from there into the Internet. 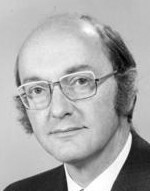 In 1965, Donald Davies started work at the National Physical Laboratory (NPL) in London on an improved method of enabling computers to communicate over telephone lines. It subsequently turned out that there were some striking similarities between concepts developed by Davies and by Paul Baran, even though they had been developed entirely independently. Whilst there is no dispute that Baran’s work preceded Davies’s, it was Davies’s term “packet switching” that was ultimately adopted for the new technology. By the early 1960’s, it was recognised that transmission systems based upon visible light would have a much higher potential bandwidth than systems based upon microwaves, but fibre optic cables introduced far too much attenuation to permit communication over long distances. Charles Kao and George Hockham at STC’s laboratories in Harlow, Essex were the first to recognise that the attenuation of contemporary fibres was caused by impurities rather than by any intrinsic limits in the glass itself. 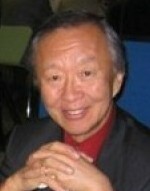 In 2009, Charles Kao was awarded the Nobel prize for physics “for groundbreaking achievements concerning the transmission of light in fibres for optical communication”. The World Wide Web was invented in the early 1990’s at the CERN atomic research centre near Geneva by a young Englishman called Tim Berners-Lee. There was a need to store and present the results of experiments at CERN in a way that overcame the incompatibilities between different computers. 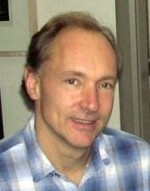 Berners-Lee hit upon the idea of using hypertext to link information across a computer network. In April 1993, CERN released the World Wide Web software and protocols to the world – free, gratis and for nothing. Finally, I would like to express my appreciation to Wikimedia Commons, for making a wonderful collection of photographs available on the Internet.